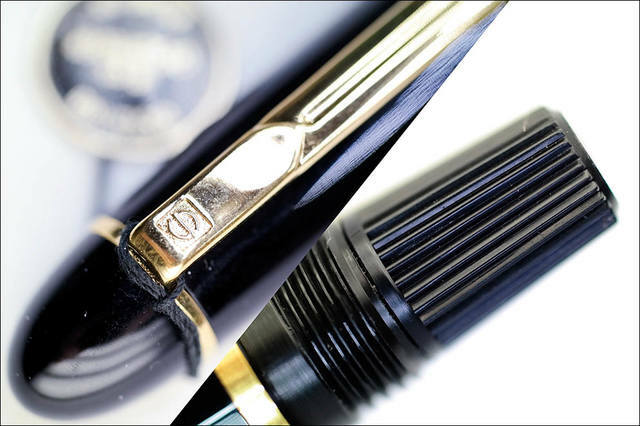 The pen: Modern Germany piston filler fountain pen, but discounted yet and no more produced. 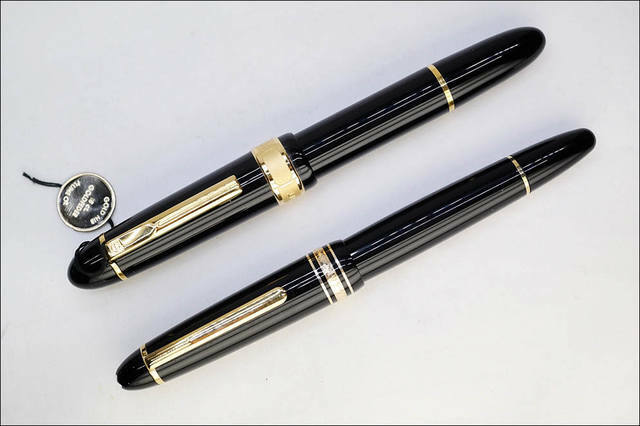 Make from plastic in classic glossy black-gold suit. 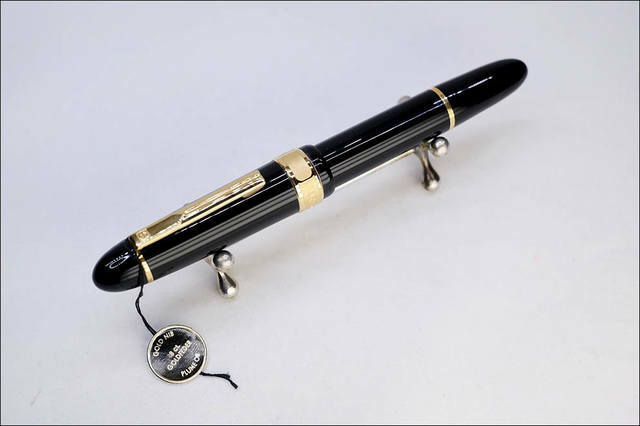 The style and size is big, sigar shape, like a Montblanc Meisterstuck 149. 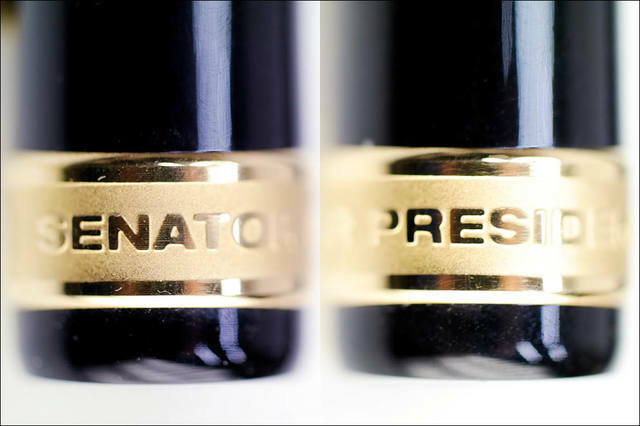 A cap on a thread with engrave SENATOR PRESIDENT brand logo. Full closure in 2.5 turns. 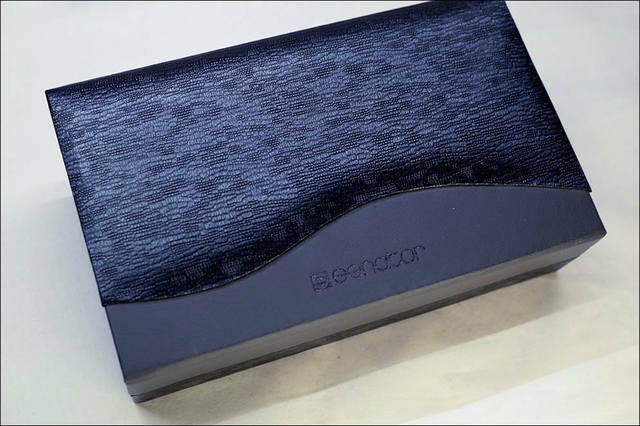 The clip is glided with S (senator) logo. 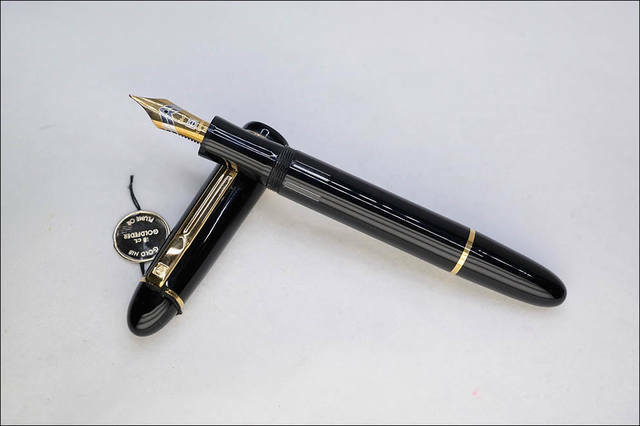 The nib: huge, gold, 18K (750), size is "M". 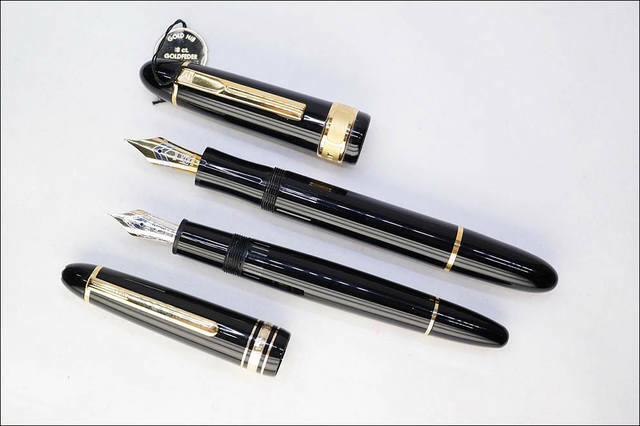 The nib is modern but very soft and smooth and some springy, I think with a little variability(1-2 steps). 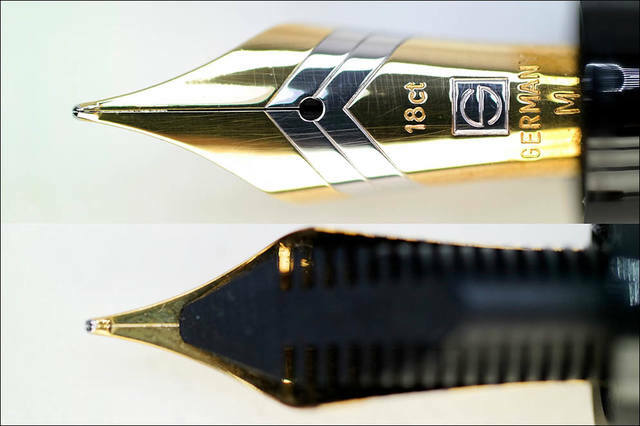 On the nib there is chevron ornament and logo S in rodium plated, and 18K, GERMANY & M on other gold places. The overall dimension: full closed lengh - 147mm, without cap lengh is - 138mm. Diameter of body is 14mm, on the grip is 12mm. 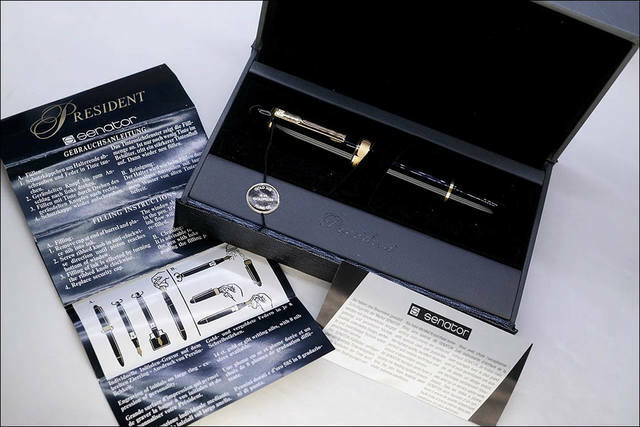 Full weight of closed pen is 26gr, without cap is 16gr. If you need additional info or photo, just write to me (I also have WatsApp, Viber, Telegram, Facebook for quick response).